So, we have finally reached the last part of the series where we are going to talk about two very important external SEO factors – website speed and Google Authorship. The word “external” refers to factors which are not directly linked to SEO, but yet have got a considerable importance in it. You certainly cannot afford to neglect these two factors as they have got a great importance not only in SEO, but also on the user experience of your visitors. As the real motive of SEO is all about optimizing your site better for both, the users and the search engines, these two factors are something you certainly cannot neglect. Firstly, let us start with why and how website speed affects SEO and how you can improve your website speed to take the maximum benefits from it. The idea here is very simple, as the search engines always want websites to provide the best experience to the users in terms of everything – information, interaction and usability. Nobody likes a website loading slower than a snail crossing the road, isn’t it? People also have a tendency of leaving a site if it doesn’t load up in less than 4 seconds. And the desire is quite understandable in today’s world of high speed internet and peoples busy schedules. The search engines also prefer websites, which in addition to providing great information also tries to provide an excellent user experience – in terms of speed, navigation, usability, etc. Speed not only creates a better user experience but it also instills a sense of trust over your brand. Consider the scenario when you desire to buy a product online. Do you like buying from a site which loads up extremely slowly while the other similar ones open up within a few seconds? It immediately dissatisfies you and makes you turn towards the other sites (possibly the competitor’s sites). So, your lack of attention on website speed makes you suffer a loss in two ways – you lose your immediate customers and your website also doesn’t appear in the top spots of the search engines. Every website is different in its own way and the techniques involved in speeding up different websites is also vastly different. And it is really impossible to cover all types of sites and their various optimization techniques and their deep details in a single article. Going in such depth in just the topic of “speed optimization” can itself take a full length dedicated series. But don’t worry, as we are going to learn some great things about speed optimization in just a few minutes. Though there are a variety of sites and various different techniques involved in optimizing them, but still there are some golden rules, which always remain same irrespective of the site you are in. The first and foremost thing that should come into anyone’s mind while optimizing any site for speed is choosing a server which is quick enough to serve the files of your website to your visitors. If you don’t know what a web host or a server is, then it is simply a place (typically a hard drive) to store the essential files of your website and serve them whenever a visitor visits your site. So, this is the first thing that you need to prioritize as everything else you do will go in vain if the most basic and fundamental thing is wrong in itself. So, consider spending a few bucks on choosing a fast and reliable web host. Whatever site you have, your site must have been built on a theme or a template or a framework, which can have a vast impact on the performance of your site. 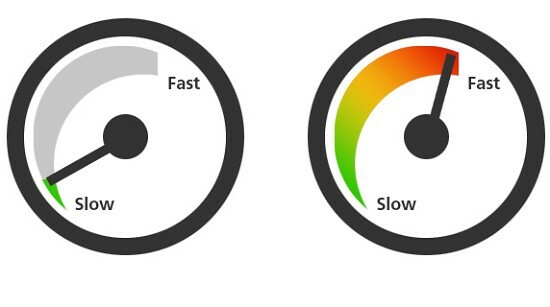 A badly coded or un-optimized template can have a serious effect on the loading speed of your site. So, it is very important to investigate a bit on the themes and the ones which are best optimized for speed and thnm choosing the right one. Just a few intelligent alterations on a few lines of code can make an appreciable impact on the speed of your site. So if you are the one coding a theme, then consider focusing more on CSS and using less images here and there. Focus on a clean and simple design with attractive color schemes and a navigation as easy as possible. Using too many high quality images can be a single big reason for drastically slowing down any website. It’s true that images speak more than words and it is very essential to use images in your webpages and it’s also not something which is evil too. But if you are using too many images in your webpage and also if they are completely un-optimized for the web, they you are going to see a big difference in your website loading speed (obviously on the negative side). So, make the better choice of judiciously choosing images, choosing the proper file formats and compressing the images as much as possible without much loss in quality. It really doesn’t matter what site you have, but if you want to really boost up some speed and performance of your website, then Content Delivery Network (CDN) is something you cannot miss. The idea of Content Delivery Network is caching and distributing your entire website on a network of servers such that your website is always served from the nearest possible location of the visitor and thereby in the fastest possible way. It’s obvious that you will need to spend a few bucks to avail these services but there are some free alternatives too, like CloudFlare which doesn’t even take a penny to give you a bit of CDN taste. So, these are some of the basic and fundamental ways of speeding up almost any website, but the implementation techniques may vary depending particularly upon your site. There are some great tools like Google PageSpeed, Yahoo YSlow, GTMetrix to check the improvement of loading speed of your website and also get website-specific suggestions to improve speed. Now let us move into another indirect yet am very important factor in the present and future of SEO – Google Authorship. The search engines reliability on factors like backlinks, social reach, etc. are not enough to determine if a content in worthy enough to be ranked at the top of the search engines results page. They need something better and more efficient to refine the search results even more which leads to the inception of the idea of “Authorship”. The search giant Google, had once conceived an idea of identifying and ranking content on the basis of the reputation, popularity and credibility of the authors, through the concept of “Agent Rank”. But the lack of a strong and powerful platform to implement this idea had subdued this concept back them. But with the launch of Google+, an online social networking platform for the masses which can act as a “digital identity” for every author began the inception of “Google Authorship”. The idea is fairly simple, suppose an author of short story books writes a book and it gathers quite a bit of appreciation from the readers and becomes popular among them. The author later writes few more books which also becomes popular among the readers. The popularity of his individual books adds to the popularity, reputation and credibility of the author as a whole. A sense of trust starts building up among the readers and his/her next publication automatically reaches a greater audience even if it is not as good as before. As we have previously discussed in detail about PageRank, so understanding the concept of Author Rank should not be difficult at all. Similar to PageRank, Author Rank is a score or a measure for Google to understand the popularity and credibility of a particular author. Every author (who have a verified Google Authorship) will have an Author Rank based on the quality of their content, how popular their content is, interaction with his/her followers, etc. Google Authorship, on the other hand is nothing but the way for Google to tie a bond between your Google+ profiles (of the authors) and all of their websites, webpages and the contents they have written (not only for their own site, but also for other websites). Authorship and Author Rank, though highly related but are two completely different ideas which should not be confused at all. Author Rank is nothing but an algorithm which gives a score to every author, while Authorship is a way for Google to identify the authors, their contents and display essential information’s (about the authors) in the SERPs. A picture beside the text links in the SERPs surely proves to be much more attractive to the users and it surely increases the chances of people clicking on your link even more. Moreover, if you are consistent in providing some amazing pieces of content to your reader’s every time, then they would even start recognizing you in the SERPs and would prefer to visit your website over the others. Even if you rank in the 9th or 10th spot in the SERPS, then also you can have a higher possibility of people clicking on your link over the others top of you. This is the magic Google Authorship can have in improving the CTR. Authorship also helps creating a better interaction between the authors and the readers. Now the readers have a chance to see who the real author is, browse through their profiles to view their other popular works and connect better with the author. The follower base of a particular author is something which helps the readers understand better about the authority and popularity of a particular author. Surely, an author with thousands of connected fans and followers is more influential than another author with much lesser fans. This is also a great indication for the search engines in raking content based on the authority and popularity of a particular author. 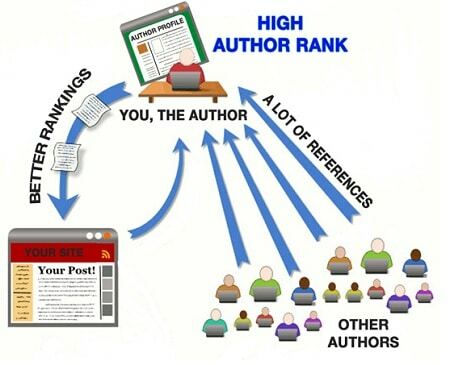 There are many other advantages of Author Rank and Authorship in todays and tomorrows world of SEO. It is something you cannot afford to neglect as it is going to be an important part of the entire search ranking algorithm in the near future. With this note, we come to an end of this series. I hope this series have proved to be beneficial for you in understanding the core concepts of SEO. The beginners and even the intermediate SEO enthusiasts should learn a lot from the 10 articles of this series. Thank you for keeping the patience and reading the entire series. If you have been benefited by this series even by a bit, then you can consider sharing it with your friends. We hope to bring some more highly informative and resourceful articles for you in the near future too. So stay tuned on corePHP. This entry was posted in SEO and tagged Author Rank, Authorship, SEO, Website Speed on October 10, 2013 by Aritra Roy.